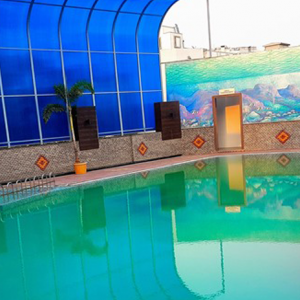 HYDERABAD: The steady influx of business along the IT corridor coupled with strengthening of the Metro network, has led to a significant rise in residential rentals in the city. 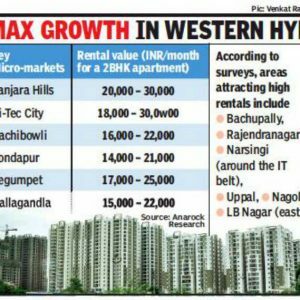 While the western belt, housing the IT/ITeS sector, has witnessed maximum growth, increasing demand for homes has now spilled onto other pockets as well-areas on the fringes of the ‘hi-tech’ belt as well as the eastern stretch of Hyderabad. 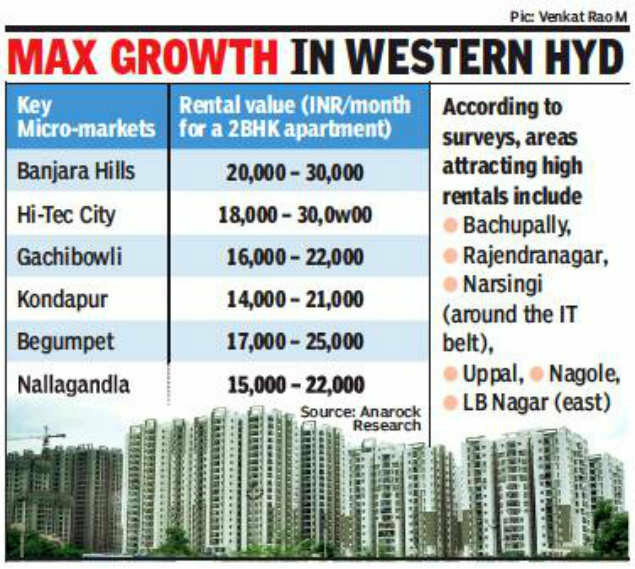 According to surveys conducted by various industry bodies, some places attracting high rentals include Bachupally, Rajendranagar, Narsingi (around the IT belt), Uppal, Nagole, LB Nagar (east). 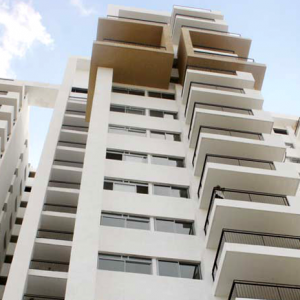 Areas such as Gachibowli, Hi-Tec City, Kondapur and Banjara Hills continue to rule the roost. “Though the western part undoubtedly has maximum demand, owing to the rising migrant population base, markets on the east too are now pulling impressive crowds. 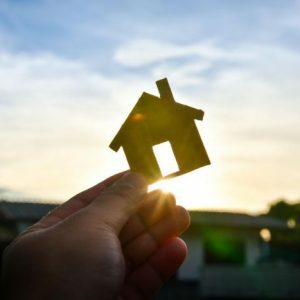 And while the rental structure is distinctly different in the two pockets, the east too has seen a 20% rise in house rents of late,” said Ashwin Rao, director, Manbhum Constructions adding how a lot of new housing projects too are now being launched in the Uppal-Nagole belt, courtesy the Metro. The primary clientele: ITeS employees. “For a large section, renting a home in the core IT area is still an expensive affair. Hence, many prefer living in the eastern part which is not just relatively cheaper but also well connected with the Metro,” Rao said. Concurring with him, Veera Babu, managing director (Hyderabad) with the real estate services firm, Cushman & Wakefield added how the new transport system has cut short the travel time-between east and west-by more than half. 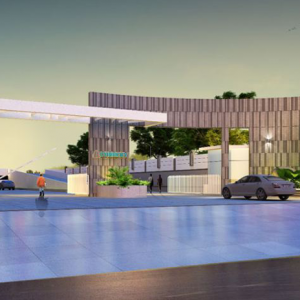 “On the other side, areas around the IT hub (Bachupally and Rajendranagar) are also attracting a lot of traction, owing to their affordability and proximity to most offices. Not only are the rents lower here, even the cost of new projects is much lesser. One can own a villa for between ₹60 and 80 lakh,” Babu said. 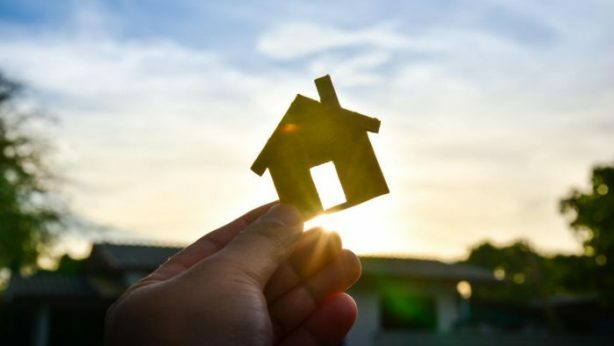 And this trend is likely to continue over the next few quarters, with the top rental destinations witnessing a five to 7% growth, predicts Santhosh Kumar, vice-chairman of Anarock Property Consultants. “Areas that appear promising include Narsingi, Kokapet, Nizampet, Miyapur and Tellapur,” Kumar said.